Yes your eye sight is ok,,,,this is a E38 with a S62 engine installed,,,this engine swap looks factory from top and bottom also the 6 speed trans is installed. I was called in on this car,,,,the customer is having a hard time with California smog laws,,,,the smog referee is asking for a lot of info on the engine swap,,,the engine and trans swap was performed somewhere in Florida,,,,the person who performed the engine swap also burned in the VIN number into the S62 DME ,,,,usually when someone performs a engine swap the DME has the old cars VIN number still in the DME ,,,,the front suspension was updated and modified with stronger sway bar to support the extra weight. This entry was posted in Uncategorized and tagged E38, S62. Bookmark the permalink. F32: Rubber drain channels between rear lights and trunk edge. This has bothered me since I bought the car. 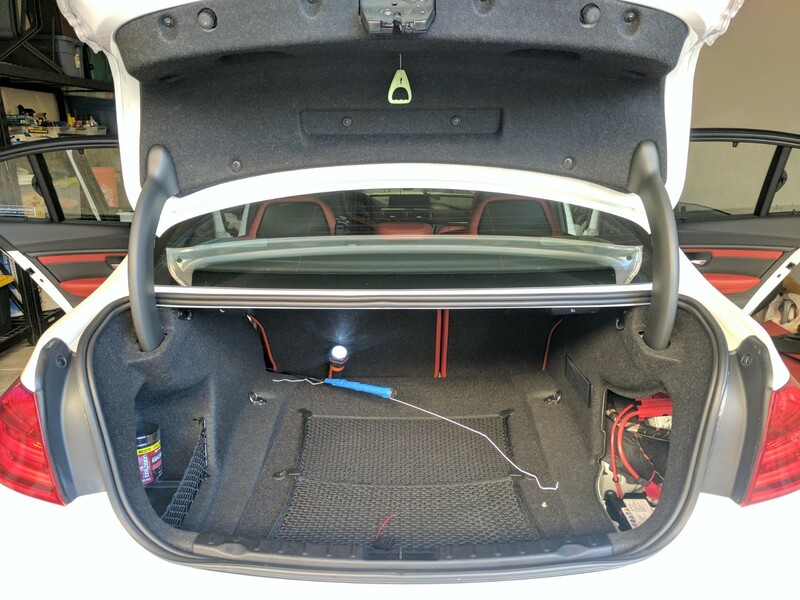 Q: Is the trunk side edge of these rubber channels supposed to be tucked underneath the weatherstripping of the trunk compartment? Driver side is not and passenger side is. If I understand what you are talking about,,,,The trunk rubber goes over,,,,the trunk felt liner goes under the trunk rubber. I’m talking about the rubber piece (1 on each side) on the exterior side of the rubber gasket. It sits in the drain channel where water coming off the back window runs down (between tail lamps and trunk opening)..
Do you have any recommendations for torque wrenches? Perusing through the TIS system I’m seeing a lot of values in the 8nm range and then in the 20-30 nm range. 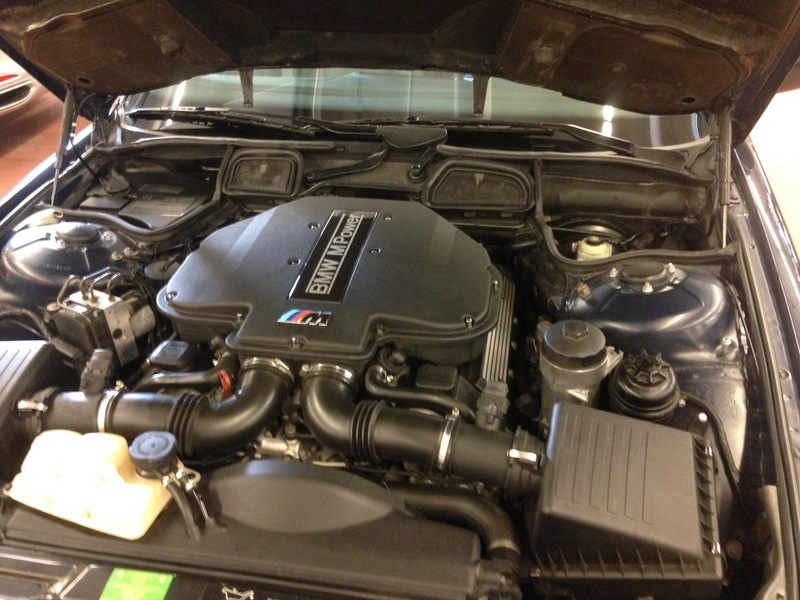 N55 with the hot-weather package (Both an auxiliary oil and coolant radiator). My vehicle has this package and there’s a heat exchanger for what I presume to be the coolant side suspended over the thermostat between the engine block and the expansion tank. Q: What method does BMW recommend with regards to removing the thermostat on this setup? Do they recommend from underneath or from the top by removing these components which are in the way? Part 2: As I posted previously (see above posts) about the drain channel inserts between the tail lamps and the trunk opening. Due to they way the left side was installed at the factory water runs underneath the insert down a gap in the body rather than over it. Q: Is this something I should worry about? The dealer said it’s normal and I just went out of factory warranty. Amazing swap that only a very few have completed. 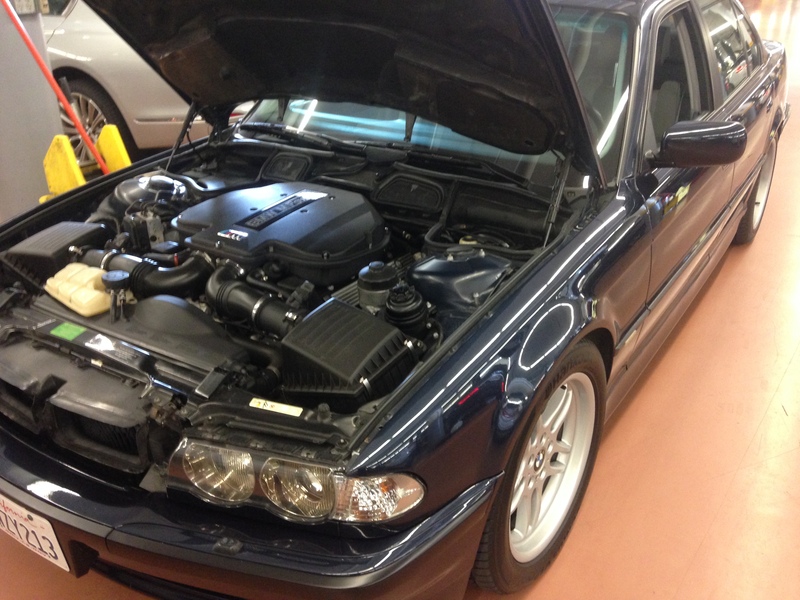 I have a M5 S62 donor to swap on 1995 840Ci E31 and have been studying the possibiliteis and looking for guidance or someone to do it…. thank you for your posting and appreciate advise. I read a lot about the N63. I have some questions for you about whether or not I should keep my N63. Can I throw you a few.